[W.]™+ Complex, H2CR Complex, AHC+BHA+AHA, Complex of water lily flower and vectorised amino acids. Day: Apply 2 pumps of serum 1 (brightening) on entire face after [W.]+ PREPARATIVE LOTION. 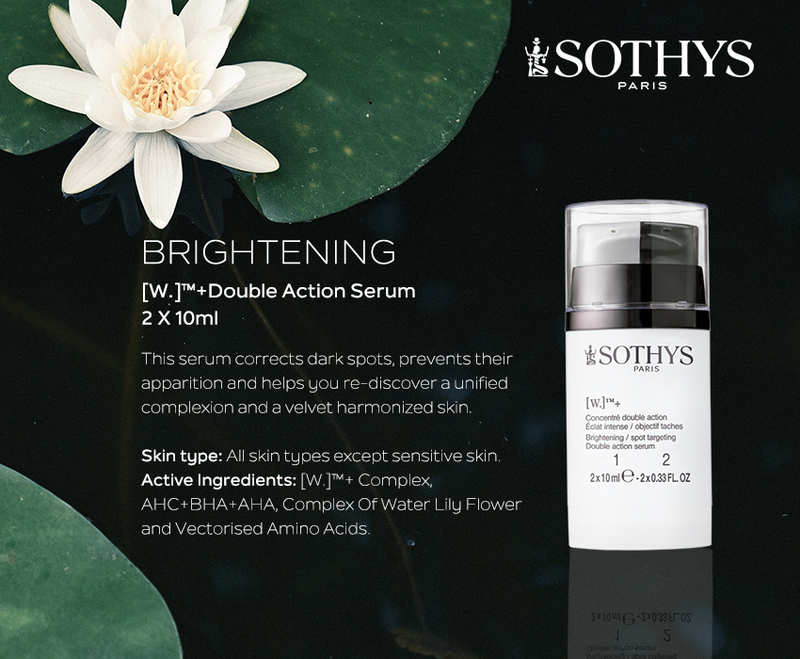 Night: Apply 4 pumps of serum 2 (peeling) on entire face, avoid eye area.